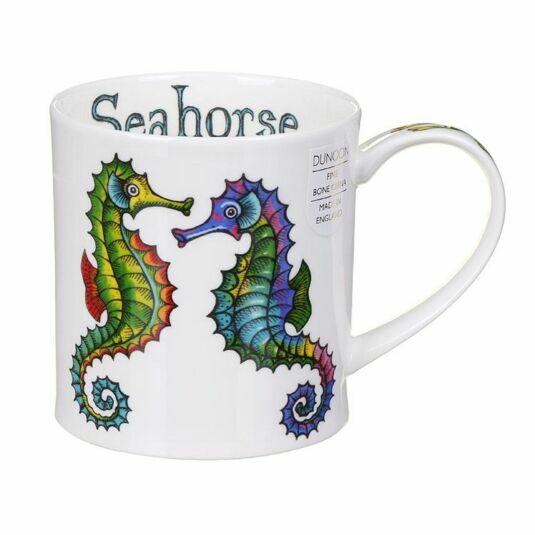 Bright and colourful seahorses are the decoration for this charming mug from Dunoon. Designed in large to fill the height of the mug, the three seahorses are drawn with thick lines and filled with a watercolour effect. Seagrass is the decoration down the handle along with the word ‘Seahorse’ on the inside rim of the mug. The elegant simplicity of the Orkney shape becomes the canvas for some of the boldest patterns and brightest designs Dunoon have ever launched. The shape of the mug has been named after a quiet Scottish idyll in the north-eastern coast of Scotland, this time drawing inspiration from the beautiful 5000 year old sights and pretty preserved village. Jane Brookshaw is an artist whose designs feature on many of the Dunoon mugs. She grew up on a farm in North Wales, and over the years has won various awards for her designs which now appear on a variety of gift products including mugs. She uses gouache, pastels and acrylics for her work. 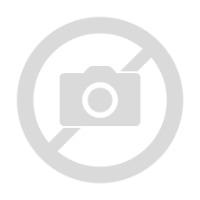 Her friendly cartoon-like and humorous animal portraits feature on many Dunoon mugs.